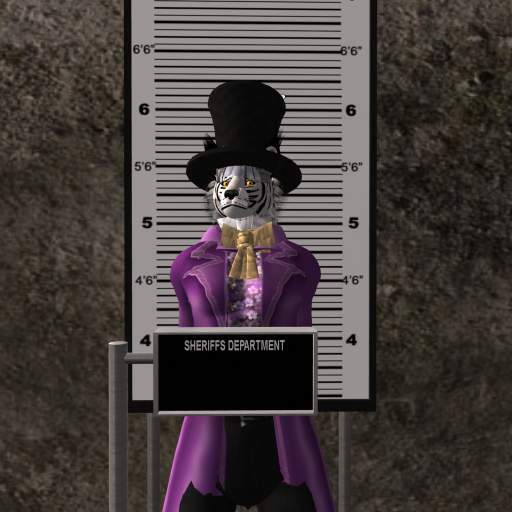 Debbydo for GFC news: Novatech's Cheshyr Pontchartrain Arrested for....well, where do we start!!!! Novatech's Cheshyr Pontchartrain Arrested for....well, where do we start!!!! The ink on your screen hadn't even dried from the Novatech interview with Cheshyr Pontchartrain before the GFC offices were raided and the writing team interrogated. It was like a scene out of a bad war movie, there were angle posed lamps, a dingy room with second hand Ikea furniture, banging of fists on tables and waving of fingers. Then they slammed the picture down in front of us, waves their hand in a pointing gesticular manner at it. "You know this creature" says the dark figure in the shadowy corner of the room. I indicated he looked vaguely familiar. "We know you know him, we have people who say they know, that we know that they know you know him". Thinking about that last statement, I almost convinced myself I did know him, but just couldn't place where, when, how, why or maybe if. 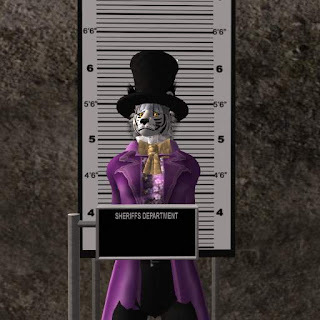 "He appeared on your blog no more that 6 articles ago, we caught him walking the streets of SL in that hat, the fashion police immediately pounced on him, threw him and the hat behind bars".